International phenomenon and living legend Liza Minnelli has made her long-awaited return to the studio on her latest release “Confessions,” and its result is a glorious full length album of new material that transposes the iconic songstress into a sultry and captivating vocalist all over again as if it were the very first time we heard her limitless vocal prowess. Produced by Bruce Roberts, the album features exceptionally flawless performances on the piano by the incomparable Billy Stritch. His delicate musicianship embodies passion, elegance and mystery. 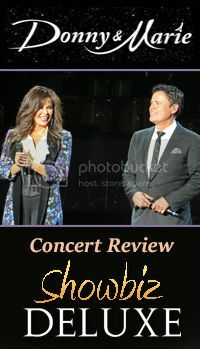 The harmonious blend of Liza’s smooth approach to the songs and Billy’s dedicated involvement on the piano creates absolute musical ecstasy to the senses. Known for her larger than life persona and effervescently intriguing existence in each and every one of the many facets of her storied career, Liza has withstood the tumultuous moments in her life and has managed to rise above them by proving her critics wrong. Whether it’s a show-stopping performance on the Broadway stage, award winning acting roles in movies and on television, or singing onstage to sold-out audiences all over the world, for sixty years Liza has created a universal image of herself and it is one that will never lose its significance. She’s not just the daughter of a legendary Hollywood star (Judy Garland) and a famed movie director (Vincent Minnelli), Liza Minnelli is one of the most influential and pragmatic entertainers of our time. Music aficionados of all types will discover a common thread that will ensure a liking to this record, for it contains a pure yet honest definition of love, life and tradition. There are a handful of sensual ballads; relaxing to the mind and soothing to the body and spirit. Never one to disappoint, Liza has left us speechless once again with her latest masterpiece “Confessions.” It is sure to garner Grammy awards and many more of the same to follow. Take a moment to buy this record and savor every minute of it.